This video show how to start to crochet a Tunisian stitch, which I used for crocheting the belt of the skirt that I did a week ago. The texture of tunisan stitch looks very much like knitting knit stitch in front and pearl stitch at the back. I love to use it as the belt of the skirt as it gave weight and tighten the lose waist used by other stitches. The video has separated into two parts. Enjoy crocheting! Sometimes you will need plenty of passion to keep things going. Especially when you have a challenging crochet project on hand. I just started making a skirt since last week. I was wondering when would it take me to finish and then suddenly I found myself now crocheting the belt of the skirt using Tunisian knit stitch. As mentioned in my previous post, this is the first time I am stitching Tunisian knit stitch. This would be a challenge for me to get my tension right so as the skirt would not appear either too tight or too loose. I can’t wait to wear my finished product! 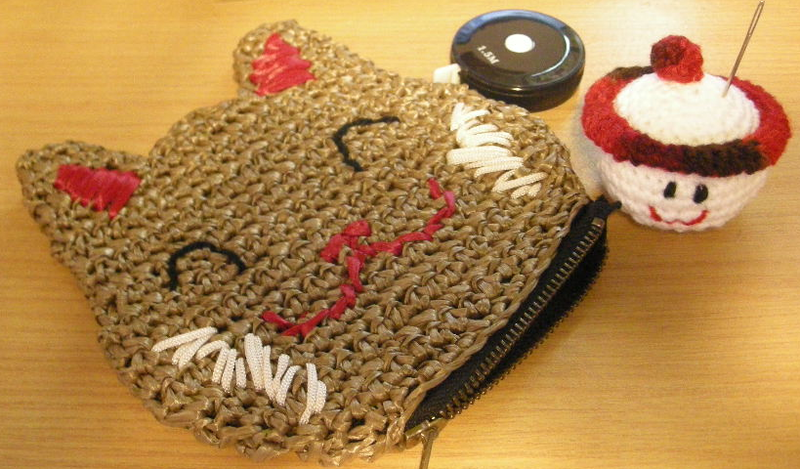 As seen at the left picture, beside the purse is a pin cushion that I just modify from a snowman head. Isn’t it cute? 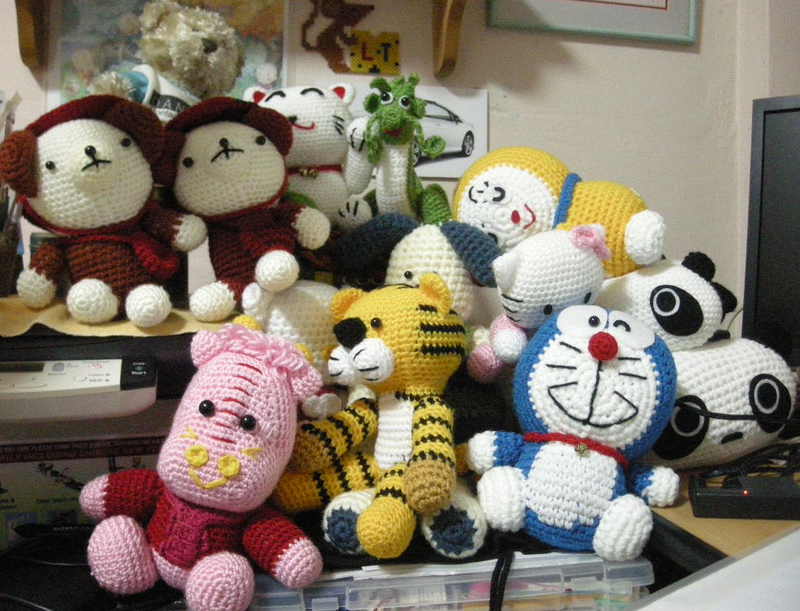 So are there any crocheters out there having some of your unfinished crochet projects hidden some where? Time to stop giving yourself any excuses. It is coming to year end and what are you waiting for? Take them out and give a boast to your passion and make it a point to finish them.